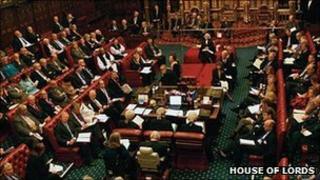 A committee of MPs and peers has decided that bishops should remain members of a reformed House of Lords. The recommendation is almost certain to be accepted by the government, which is due to publish its plans for a largely elected second chamber in May. The Joint Committee on House of Lord Reform says, however, that the number of bishops in the Lords should be reduced from 26 to 12. Some critics say they should be removed from an entirely elected chamber. This is in line with what ministers are thinking and will almost certainly form part of the Lords Reform bill, which will be set out in the Queen's Speech in May. The bishops - known as "Lords Spiritual" - courted controversy recently when one of them led opposition to plans to include child benefit in a cap on welfare payments to families. What is role of bishops in UK politics?